As a career long marketer I have seen loads of advertising and marketing with a focus on either brand marketing or promotional marketing. For years I didn’t really give it much thought until I was faced with the reality of creating a marketing plan and being accountable for it. Then I realized that both are important for different reasons. If you’re a young marketer, let me help you save lots of time, energy and aggravation in your planning, content creation and media mix process. To be clear, brand and promotional marketing are vastly different and they also require a different thought process and even a different approach to measuring efficacy. Their outcomes are different and even their expectations. Now you’re probably thinking, which one is best for me? Great question. Let’s get started. I know, this sounds weird because the brand is everything the company does, says, feels like, looks like and acts like. It’s the entire culmination of the business all wrapped up into one word. Brand. Does that mean your company marketing should always be brand marketing? – Well… No. Brand marketing is when the marketing approach is focused on communicating overall awareness to the target audience – not promoting a specific product, service, feature or benefit. When your company produces brand marketing, it really helps in long-term customer awareness. The more they see it, the more they become comfortable with your brand and the more likely they will purchase when they are ready. It’s really a top of funnel brand awareness message designed to keep your business present and top-of-mind. This can provide what’s called “lift” or elevated exposure and top-of-mind awareness with the consumer. If there is no lift, then the brand is not getting any benefit from that type of marketing. Measurement of this approach can be extremely difficult. Typically brand marketing is measured in website traffic, social media engagement levels, email open rates, video views. Although these are important for sales, they are usually not a direct tie to ROI. Brand marketing is a slow-grow approach that is a great support to promotional marketing. If you are looking for instant results, this is not what you want to do. If you’re looking to keep the brand in front of your audience yet another time, that’s what brand marketing is designed for. 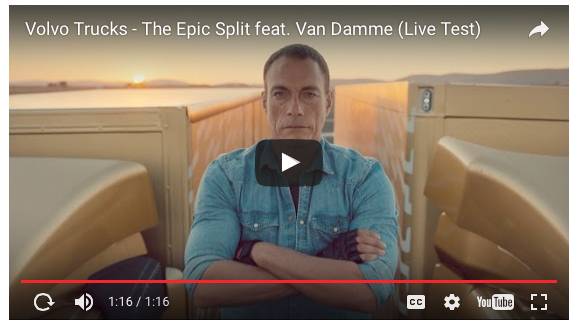 Here’s an example of brand marketing from Nike and Volvo Trucks. This approach can act like brand marketing because it does provide lift as we discussed above. The more people that see a company’s marketing, the more they will be aware of it and hopefully, it stays top-of-mind long enough and with a consistent message that it sticks. PS, I did say hopefully. There is a however in this case. Promotional marketing is specifically designed to promote a product, service, feature, and benefit and maybe even suggest a time and place to make that purchase. For instance, if I work for Starbucks, a promotional ad would promote the latest drink coming out that month, a seasonal beverage specialty drink or even the latest way they are brewing and preparing a drink that will sure to entice the customer to come in to the store. Promotional marketing is designed to be a quick-hit, a jolt for increasing sales. However, it can’t be done all the time year after year. Customers don’t like being sold all the time with advertising. When they spot it, they tune it out most of the time. A Measurement approach for promotional marketing can be form fills on the website, landing page views and even downloads, phone calls, emails and walk-in traffic to a retail store. These are all ways that can directly lead to revenue growth of the product or service that is being promoted. This is the tricky part. There is no one-way solution that will lead you to successfully increasing sales revenues all the time. However, the balancing point for your company may be figuring out the quantity and spend for your marketing and advertising, the channels that are best for the brand and the promotional message, and then launch each one (brand and Promotional message) on varying channels. Then I would apply a percentage of weight for each one, each month. For instance, I typically pendulum back and forth from 60-80% of my ads are brand marketing one month for digital and traditional. The next month being 60-80% promotional marketing. 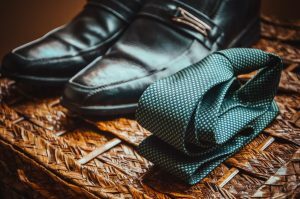 The weight and balancing act is tricky and needs to work with your sales cycles, annual calendar, seasonal promotions and other factors that weigh into sales and the market demands. Here’s an idea of how you can track your brand and promotional marketing month by month and also the weight of how much is active. The percentage can be applied to your budget or to the types of media used for marketing. A good example of this concept is, currently I work with lots of digital and traditional marketing channels. See below the percentages and how they are divided. % means of those types of media, 80% of the messages going out to the market are Brand marketing and only 20% of those messages going out are promotional marketing. My marketing mix percentage is not divided by monetary spend, but by actual numbers of ads running and sometimes even the flight duration. This tracking mechanism does not work for everyone, but it does help marketers to track their previous and current advertising activity. This is tremendously helpful when you are trying to find answers for why sales are down, website traffic is down and why other indictors are not adding up. Although this is not a perfect solution, it does give clarity to why indicators are revealing data, good or bad. YourBrandExposed.com is a digital marketing consultancy that works with businesses big and small to solve their most difficult questions surrounding digital, brand development and generating qualified leads.